ODS Giveaway for the best iTunes review! Announcing our first contest! We’re giving away a FREE deck/shirt/sticker combo to our favorite iTunes review for our Skatosis Podcast. One lucky listener is going to win it all! We’ll pick our favorite iTunes review on October 1st and announce it here on the ODS website as well as on the podcast! If you post about the podcast and brag about how awesome your comment is, use the hashtag #ODSgiveaway to get our attention. There are currently NO reviews in iTunes just yet since it’s such a new show, so your chances are pretty amazing to win this combo! 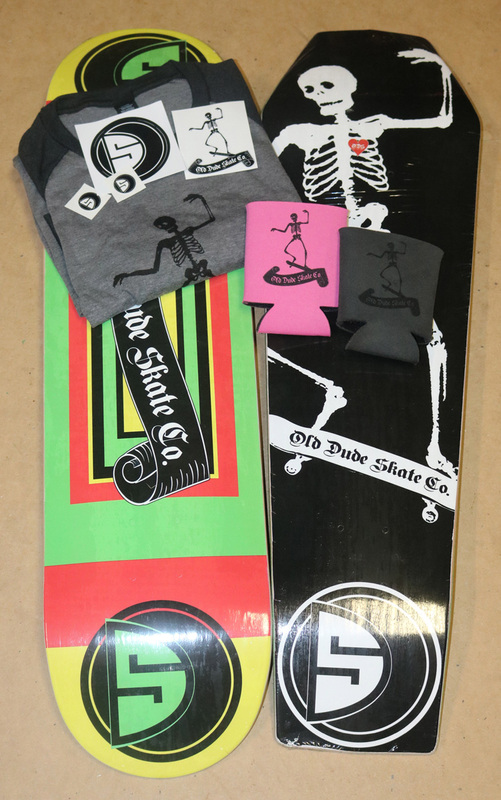 You’ll get your choice of the Coffin or Lietuva deck, a 3/4 shirt with the grinding skeleton logo, an assortment of stickers and a can coozie! Listen to one or all of the available episodes. Follow us on all of our social media. Most importantly… Go to iTunes and leave an awesome review! Send an email to drew@skatosis.com to verify your iTunes review.